Right now I’m tucked away in the van driving what to me seemed to be a Tornado in Florida. Its been some time since we left Austin but it feels like only yesterday I was hungry and sweaty all over. Searching for free booze and new tunes. This is how my voyage went down. After spending two weeks on tour with our Mississippi brothers The Weeks we arrived in Austin on Tuesday. The first and last night in Austin is always my favorite. We met up with our great friend Dan Millice, who mastered our record to check out a house show. I didn’t think too much of it until I was told that Thomas Pridgen (ex Mars Volta drummer) was playing with his new band The Memorials. We got there to also catch Lite, this crazy band from Japan that sounded like Battles and BOYFRNDZ from Austin, Texas who actually had their record produced by Ikey from The Mars Volta as well. After a few beers and half bottle of Evan Williams we preceded to Red 7 where our dude’s we’re about to start their SXSW week off. Anytime you can catch these guys please do. One of the few bands I can watch every night and never get tired of. We ended the night on top of some roof listening to dance music and getting bottle service. One of us may or may not have thrown up off that roof. I’ll leave it up to you to guess. Day Two started off rough but we grabbed some truck food and made it to catch The Rocketboys at Rusty’s. I only caught probably 3-4 songs but this is close to one of my favorite sets I saw at SXSW. We had to rush to the Billy Reid shindig to catch the second The Weeks set so we jumped in a cab to avoid the stress of rushing. Billy Reid sure knows how to throw a party. Beautiful women, great bands, and free Old Fashioned’s. We stuck around to catch The Weeks and Dawes before heading to our first show at SXSW. It was a house show in someone’s backyard. Making it for only two acts before us we decided to grab some beer and enjoy before our set. One group named The Lower Class stood out. Young rappers that definitely had their own style. When it came to our turn to The Weeks showed up and we got down. I will never not enjoy house shows. The energy at them is non comparable to a club show. Day Three we kept it pretty chill until later that day. The drinking in the sun the past few days had taken a toll but we were still pushing on. First thing you have to understand about SXSW is that time management is key. After ordering most definitely the best philly cheese steak sandwich I checked the time only to notice my dudes Sol Cat from Nashville were going on in 5 mins. I handed my sandwich to Philip and walked down to catch the tail end of Kingston Springs set. First time catching Kingston Springs since last years Serpent and Snakes party so in hindsight I’m glad I left my delicious sandwich. Up next was Sol Cat and these dudes never fail to get the party started. Definitely the grooviest band I saw at SXSW. We ended the night at what seemed to be a Nashville party (Miley Cyrus reference?) to catch Dino’s Boys (Atlanta) and Natural Child (Nashville). Nashville’s scene is one of my favorite scenes right now in the country. Seem’s to me from outside perspective that everyone is just trying to rock and have fun. Day four started with catching our hometown buddies HRVRD play at their record labels showcase. It’s always gnarly seeing your dudes you grew up playing with grow as a band and it brings me complete joy seeing tons of people get into these dudes. They played a killer set then had to bounce so we trekked it to catch a drink and see Natural Child again. 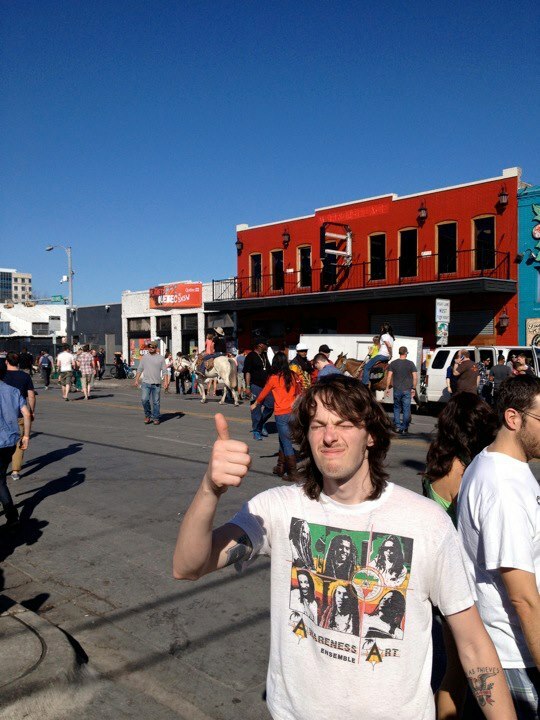 We probably ended up seeing every band twice this SXSW trip. After some whiskey shots and a bit of confusion we decided to catch Turbo Fruits play at Hotel Vegas. These dude’s always put on a killer set and if you haven’t seen them make sure you catch them. Our second set was later that evening for the Vulcan Army Showcase. Due to PA troubles our set got pushed back about 2 hours so we made it for Pan,Co, Cloudeater, Winter Sounds, and Cusses. It’s crazy going so far away from home and still have relatively local bands playing a show with you. After drinking free booze for those two hours we proceeded to play inside the gallery. More cramped then ever but still a great time. We only had enough time for 4 songs since the show got pushed back but it was just enough. The last day at SXSW had finally come. 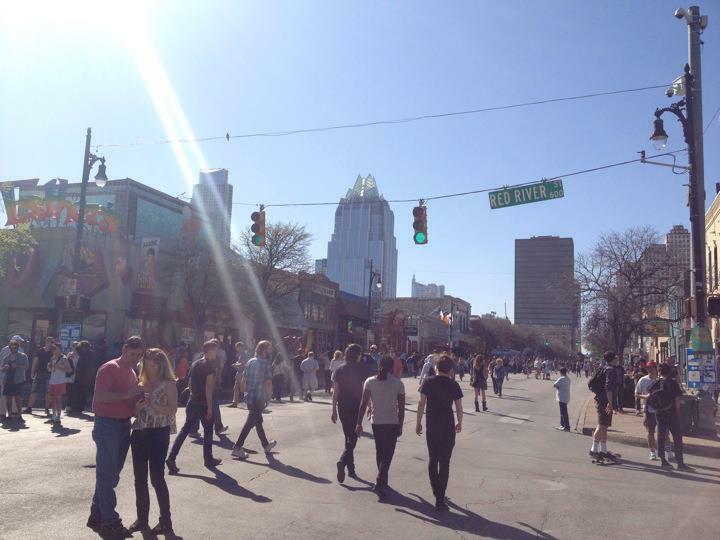 The day to party like this is your last SXSW. We started with our last The Weeks set at The Serpent and Snakes/ All Saints Party. This was my favorite set of theirs. We got properly day drunk and took some promo shots behind the venue with Laura Meek, our photographer friend from Mississippi. 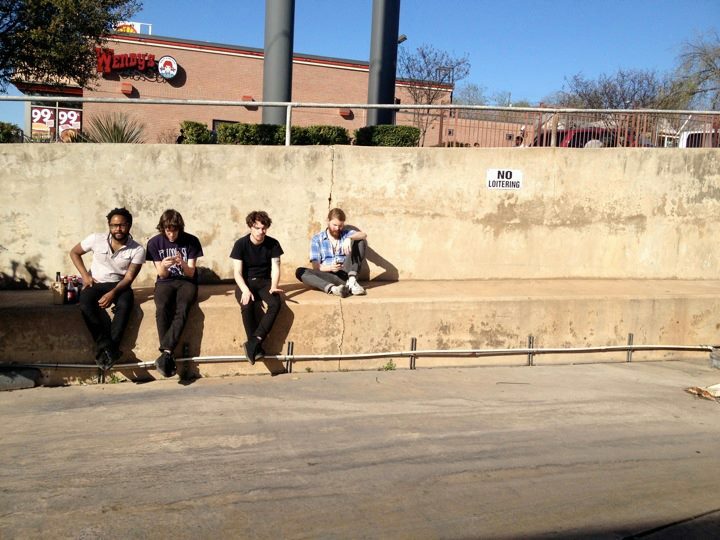 Afterwards with a lot of down time before the next set we went on the search for the last SXSW meal. We ended up at a delicious BBQ spot where both Obama had been and signed a menu. I’m surprised they didn’t ask me to sign a menu but whatever. I guess Obama’s more famous. After eating we went to get cheap drinks and talk to our friend Brent. Needless to say this was the downfall of the evening. First time we’d all got real drunk together the whole week so we we’re on top of the world. Loudest dudes at the bar and buying too many drinks. In fear of not being able to get into the last The Weeks show we decided to try and catch Dignan. Eli and I trekked it back down to Rainey St to a packed house. Dignan is probably one of the most underrated bands in this country. Everytime I catch them play I asked myself why they aren’t huge. They played all my favorites and truly was the perfect end to my SXSW trip. Everyone has their own opinion on SXSW. Its gotten to commercial, it doesn’t really help smaller bands anymore, blah blah blah but what I do is take everything face value. It’s just a great week to hang with your friends, catch some music, eat gnarly food, and drink as much free booze as you can. If that sounds too commercial to you then don’t go but I’ll make sure myself and Junior Astronomers show up every year. Three more dates left on our tour home with HRVRD and I already miss Austin.